Since the publication of the first edition of this book, the application of the theory of plates and shells in practice has widened considerably, and some new methods have been introduced into the theory. To take these facts into consideration, we have had to make many changes and additions. The principal additions are (1) an article on deflection of plates due to transverse shear, (2) an article on stress concentrations around a circular hole in a bent plate, (3) a chapter on bending of plates resting on an elastic foundation, (4) a chapter on bending of anisotropic plates, and (5) a chapter reviewing certain special and approximate methods used in plate analysis. We have also expanded the chapter on large deflections of plates, adding several new cases of plates of variable thickness and some numerical tables facilitating plate analysis. In the part of f the book dealing with the theory of shells, we limited ourselves to the addition of the stress-function method in the membrane theory of shells and some minor additions in the flexural theory of shells. 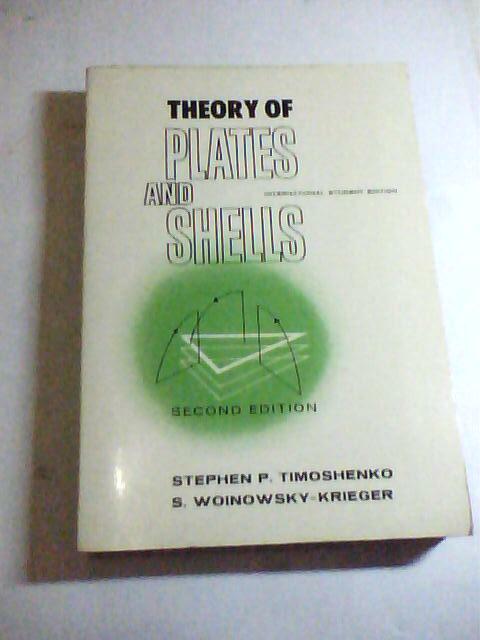 The theory of shells has been developing rapidly in recent years, and several new books have appeared in this field. Since it was not feasible for us to discuss these new developments in-detail, we have merely referred to the new bibliography, in which persons specially interested in this field will find the necessary information.